CycleBar is not your average cycling class—it’s a mind-blowing, heart-pumping party on a bike. Every ride is led by an elite CycleStar Instructor, each with their own style and vibe. No two rides are alike; from the music to the intensity to the overall vibe, instructors keep it fresh and keep you motivated every single class. Our CycleTheatre is a fully-loaded, epic cycling space. With high-performance custom bikes, amphitheater seating, enhanced lighting, concert-quality sound and two massive high-def flat screens, they set the scene for an immersive, exhilarating experience. Every bike comes with built-in CycleStats technology, so you can track calories burned, RPMs, watts and class rank. After class you will receive your stats in an email along with the playlist. Book today! If this is your first time going to CycleBar, make sure to set up your online account at scottsdale101.cyclebar.com before class. Arrive 15 minutes before your first class. The staff will get you checked in, show you around the studio and get you properly fitted for your bike. Wear a tank or t-shirt and form-fitting workout shorts or pants. CycleBar provides cycling shoes at no cost, but you’re free to bring your own if you’d like. The bikes are SPD compatible. CycleBar offers water bottles for first time riders and healthy snacks. 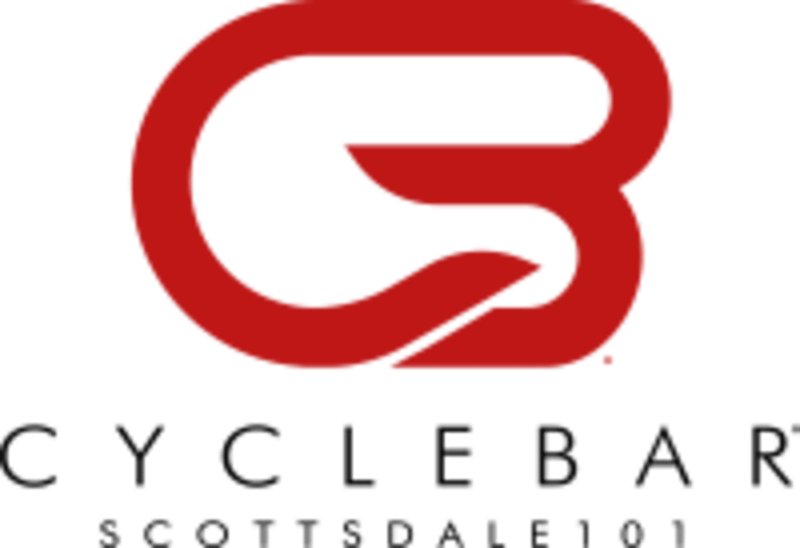 CycleBar - Scottsdale 101 is located at 7000 E Mayo Blvd, Phoenix, AZ, 85054. Amazing instructor with incredible music. This class was practically a spiritual experience—One of my favorite cycling classes ever. Thank you so much, Susan—you have no idea how much your class meant to me. Lucí was amazing!! Such great energy! Super helpful and encouraging!! I loved this class! So much fun and great energy! So much fun!! Can’t wait to go back! I wish the instructor would ride the whole time.i did enjoy all the heavy climbs and the vibe. Awesome workout, very friendly staff, modern facility. Highly recommend!